This past week we were featured as Apple’s Free App of the Week. It also marks the first time we’ve gone the freemium route with one of our games. We’ve previously had a $3 app, a $1 app with IAP, and now a free app with ads and IAP. As before, we want to share some figures with other indies out there so you can get a better idea of what to expect. Keep in mind we were also featured in numerous other places in the App Store like the Games page, Games > Puzzles, 15 Most Huggable Heroes, etc. We also have screenshots and descriptions localized in 15 languages. King Rabbit was downloaded 920K times over the course of the week, with the highest traffic day getting 204K. These numbers are no doubt influenced by where you’re seen in the App Store. 45% of the downloads came from the Asia Pacific region, 22% from Europe, 22% from US/Canada, and the remaining 11% from the rest of the world. If it’s not obvious already, make sure your app is localized so your players can get the most out of your game! Our In-App Purchases netted us $6.6K in proceeds (the number after Apple’s cut). The biggest earners here are 3x Hints and 10x Hints. There were a total of 2.9K IAPs bought, which means about 0.3% of players bought anything during the week if each IAP was bought by a unique person. We put ads in the free version, displaying them every couple minutes before starting a level. Any IAP purchase removes ads totally so players can choose to be a premium customer and get a premium experience. Of course, the vast majority of players will not pay. We netted $24.4K in ad revenue using Google AdMob during the week. 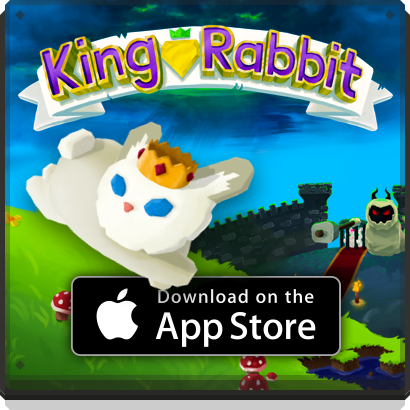 King Rabbit took a bit of a hit in the reviews during its time as Free App of the Week. Players don’t like to see ads and they expect the FAOTW to be a premium experience for free, which is fair. We had to weigh the cost of their experience to how much we want to continue making games. It was a tradeoff that we had to make. After completing each level pack you have the option to share your success on twitter and/or facebook. During the week we had 13.3K twitter shares and 13.8K facebook shares. We have a link to the game in the pre-populated share message, which resulted in 1.3K clicks through twitter and about 50 on facebook. RareSloth got 137 new followers on twitter and 7 new likes on facebook. The most exciting thing to us is our email subscribers. We have a subscription field under the level packs asking for sign ups so we can let players know about new levels coming out. There were 10.5K new subscribers, which is about 5x as many as we had before! About 295K (32%) players finished the first level pack (16 levels). The number of players finishing gets cut in half for each successive pack, with about 2.7K players finishing all the campaign packs. There were 59M rabbit deaths during week. 38M gold was found and 4M diamonds were found. 548K hints were used and 205K slow times were used. The stars death particles were the most popular ones, the coins were the least. The confetti run particles were the most popular, the fire one was the least. Snobby was the most popular character, Zombie was the least. King Rabbit was featured in the 4th spot of the Best New Games section in the App Store during its release week. It was a $1 app with IAP. It earned $10K in proceeds during the week. 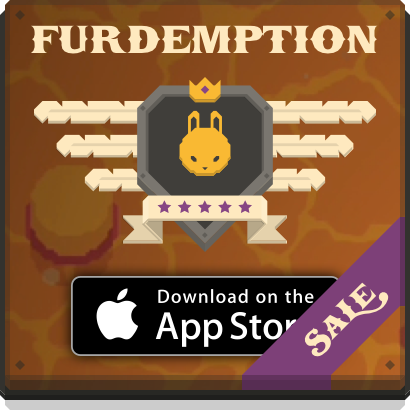 King Rabbit is now free with ads and IAP and it earned $31K during the FAOTW week. 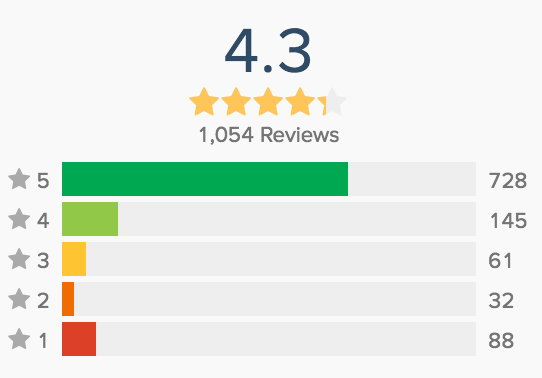 At the cost of some bad reviews we tripled our revenue. We want our players to have the best experience possible playing our games, but we also want to continue making games for a living. Going free and showing ads was the right choice for us. Leave a note if you have any questions or comments! I like the concept of serving ads in an unobtrusive way (as you did), before beginning a level, not some lower third banner. Also I agree that an app should be free with ads or be a paid app, but not to relay on in-game currency and slowing the progress by inserting waiting times (like A LOT of top chart games do). I like the game, I like how the IAPs are managed, how the ads are served, you guys did a realy nice job, Congrats! Thank you! We’ll continue to keep players first and refine our models to make the experience even better in future games. Great game! And great post, congrats! I’m not sure if we have good advice on that. We met someone from Apple at a game developer conference and went from there! Hey guys! This game is one of my favourites, a perfect balance of fun and hard makes it replayable. Now with level editors and level packs (and rewards for getting into them 😉 ) I truly love this game. Keep it up!